Through his lead role in 2016’s hit youth romance drama, Love O2O <微微一笑很倾城>, Chinese actor Yang Yang (楊洋) shot to immense popularity. Since then, the 26-year-old has enjoyed an influx of opportunities. After finishing filming obligations for the fantasy action drama, Martial Universe <武動乾坤>, Yang Yang will begin filming for The King’s Avatar <全职高手>, where he will be portraying the lead role of “Ye Xiu”. With similar aspects to Love O2O, The King’s Avatar follows a handsome top gamer’s trials and tribulations in his professional gaming career. Initially, Dilraba Dilmurat (迪丽热巴·迪力木拉提) was rumored to be playing the female lead, “Su Mu Cheng”. The Chinese actress’ Uyghur ethnicity possesses an ethereal doll-like appearance, adding to her authenticity in portraying the beautiful Su Mu Cheng. However, the rumors have since been quelled and Lareina Song (宋祖儿) was announced to be taking on the lead role instead. 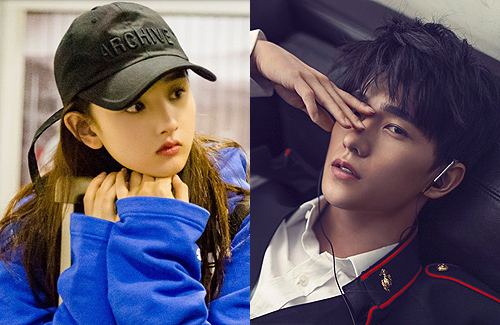 Starting her career as a child star, the 19-year-old actress has worked alongside Chen Bolin (陳柏霖) in the reality show, Divas Hit the Road 3 <花兒與少年3>.